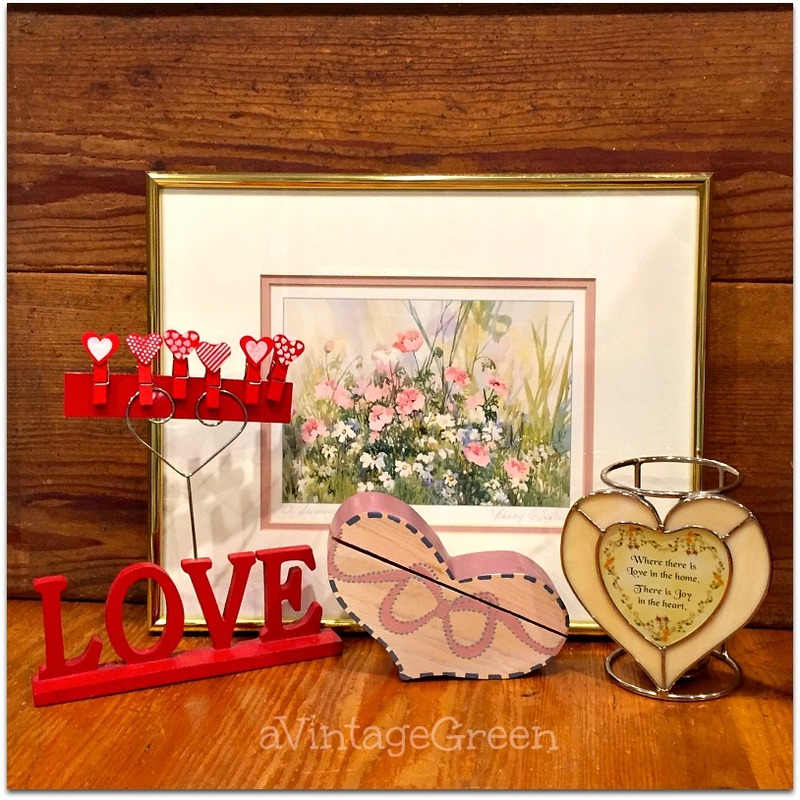 A bit of Valentine Love. More brass candle holders and brass. Vintage. 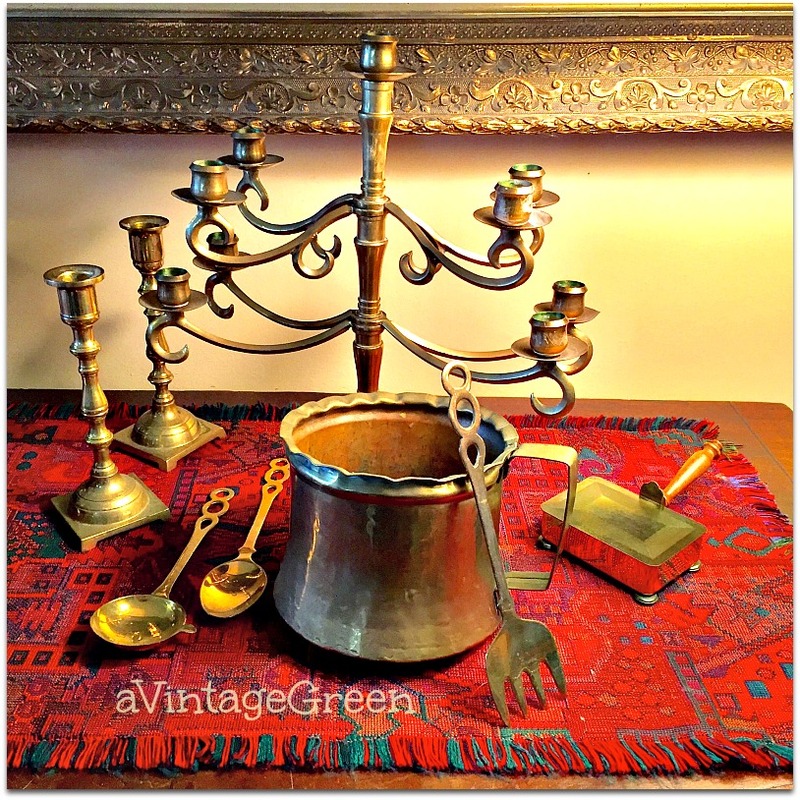 Love finding brass - first 9 light candle holder I've found. Vintage, well used. 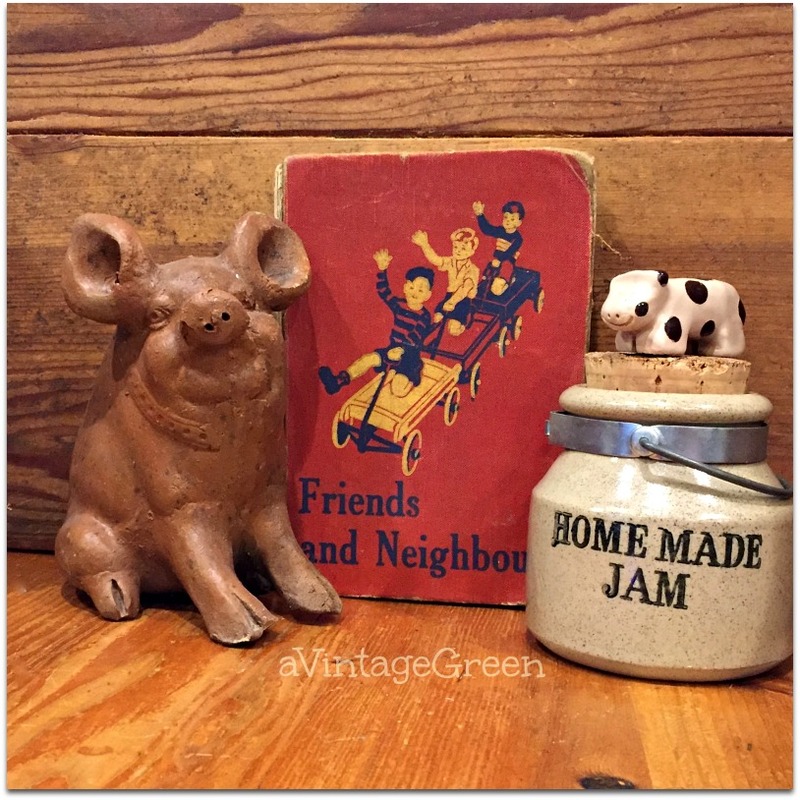 Home Made Jam (stoneware), a homemade piggy bank, a happy little cow and a well worn Friends and Neighbours (yes that was a reader from my primary years - not this issue, just the same title). 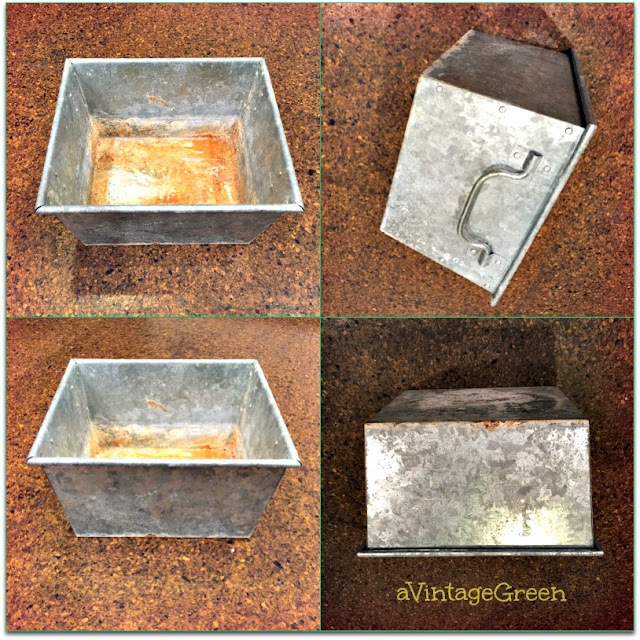 Next up: stencil on galvanized tin plant holder. Stencil added. July 23/15 post - stencil made with my Sister's help (and her Silhouette/Cameo). This is the original cardstock HERBS stencil. Tried green, not dark enough, Chesapeake Blue, not any brighter, Sedona Red, not too good either. Carolina Sun Yellow finished with Fusion Tough Coat Sealer, Clear. 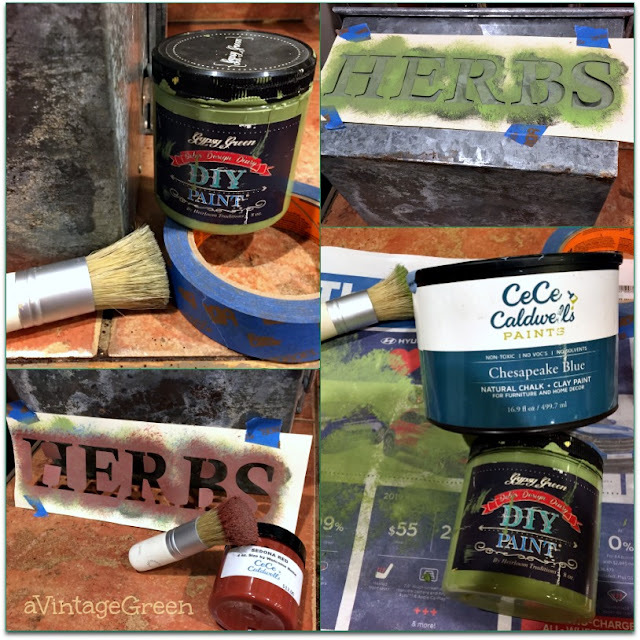 Love your little herb pot! One of my favorite thrift stores burned down (arson suspected) while I was on holidays, quite the downer as is a charitable organization for women and children in transition. Hoping they find a new space soon! I love all the things you find thrifting! I have only been in one thrift shop so far this year. I am hoping next Tuesday I can do an old fashioned Goodwill run! You are such a master at stencil art. You see the possibilites others cannot. Myself included! I am finally getting around to putting Christmas away and feeling a bit of anticipation for spring. Those primroses are just lovely in that container. I love how you stencil everything. It looks so awesome! I just love looking at all your arrangements of items and furniture, as well. It's a visual treat! Beautful! Love that table and chair, and the Herbs container. 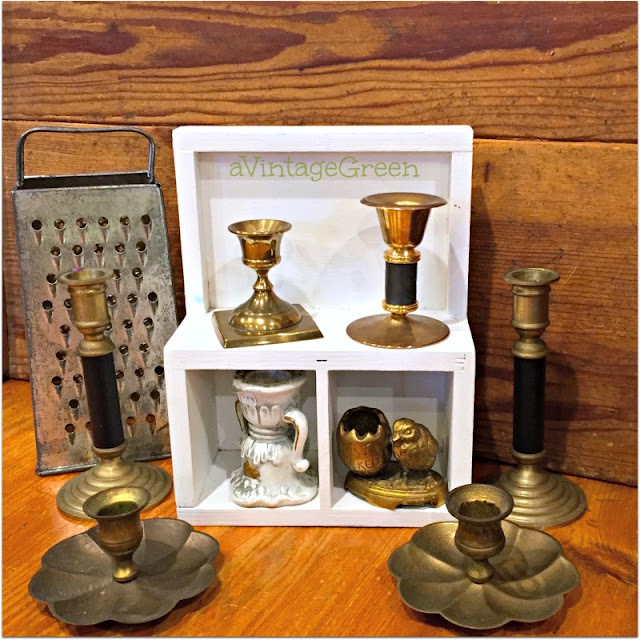 I have some brass candlesticks I was thinking about getting rid of. Too bad I don't live closer - I'd give them to you! Thanks for sharing with us at The Blogger's Pit Stop! 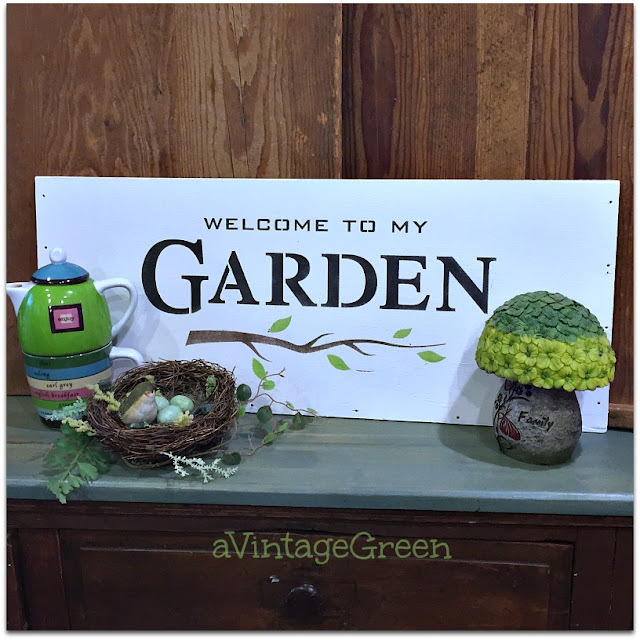 Really enjoyed your thrifted finds and vignettes. 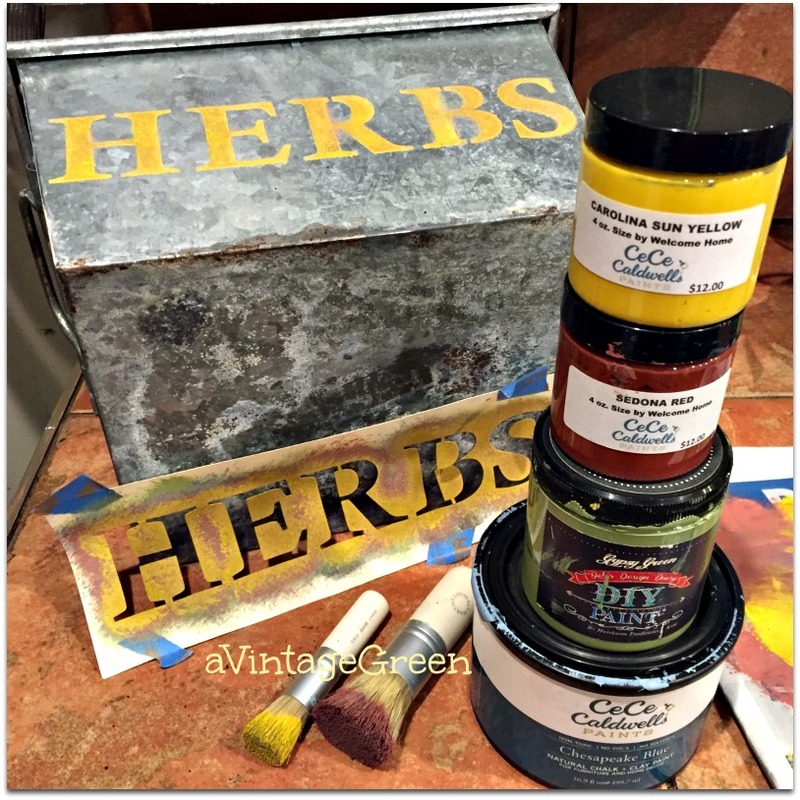 That yellow on the herbs box is perfect with the yellow in the primroses! 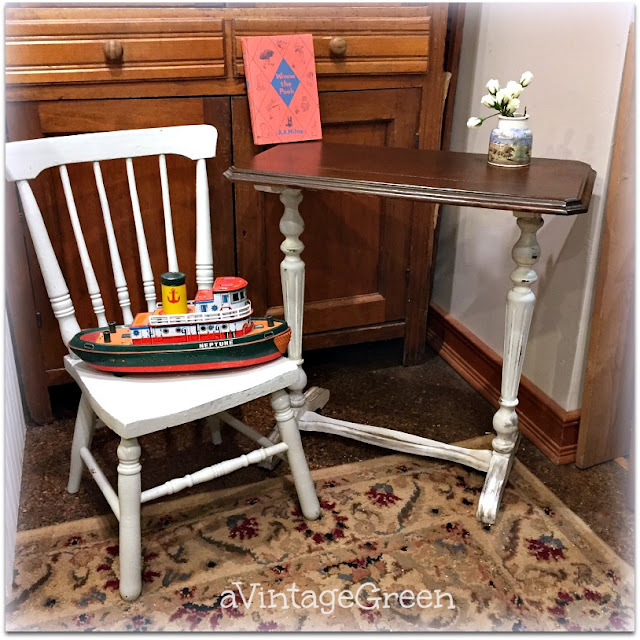 Have you ever stenciled over a darker color just a bit off to make a shadowy effect? Happy Pink Saturday, dear Joy. Thank you for always making Pink Saturdays special. 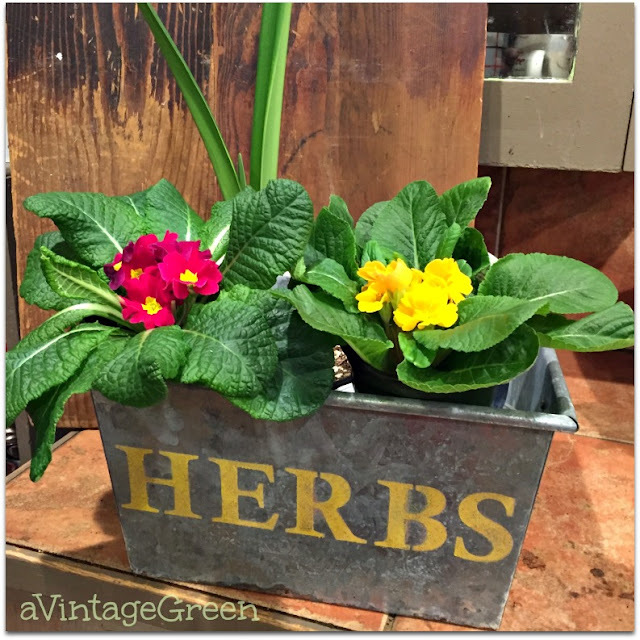 THe yellow lettering really pops against your pretty primroses! Thanks for sharing at Vintage Charm--pinned!